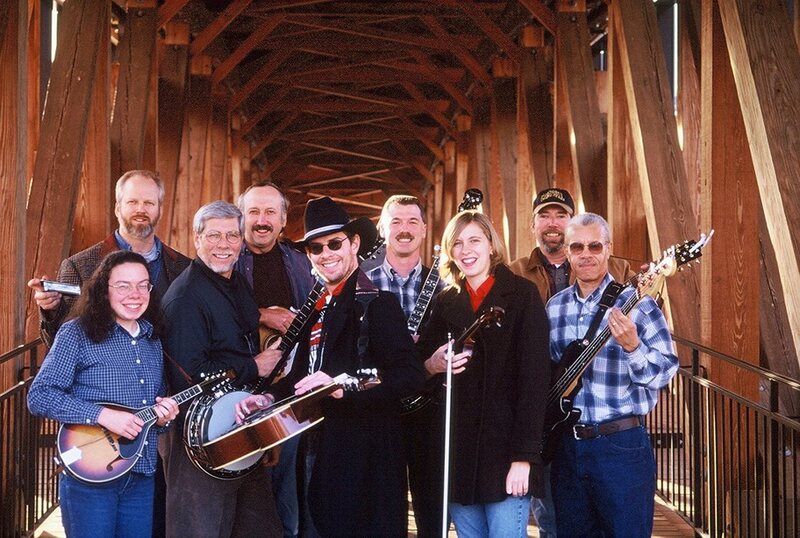 The Bluegrass Messengers have recorded 4 CD's. None of the recordings were done on a professional level as they were made by students mixed with a few professional players. Originally the Bluegrass Messengers were a group of my talented students. We were never a professional group although we had some excellent players at different times. We also had a few "ringers" play with us on some of our big performances but rarely on our recordings. The recordings were essentially done "live." On the first CD there were no overdubs and it was recorded and mixed in 2 hours. If we made it through a song it was a take. We sold our CDs to friends and family and occasionally at concerts. We made no pretension that they were anything grand yet we were proud of the effort and enjoyed making and recording the CDs. The Bluegrass Messengers band's strength was usually the vocals. Richard Matteson and Maggie Lindley carried the vocals on the first two albums. Overall the vocals are good and the playing is weak on the first four CD's. There are some bright moments and a few good songs but I wouldn't recommend the CD's to anyone seeking high level professional recordings. I am still selling CD's to those who want them. The Bluegrass Boogie CD is still in stock and sells for $10. There are several cuts on the CD that make it valuable: Maple Leaf Rag, Bluegrass Boogie, Jerusalem Ridge, Dogget's Gap and Alabama Jubilee. The older CD's I will sell for $5 each. There are no printed jackets for the older CD's.